Change is a constant in the Cognos world. NetVisn takes the pain out of managing changes to your models. 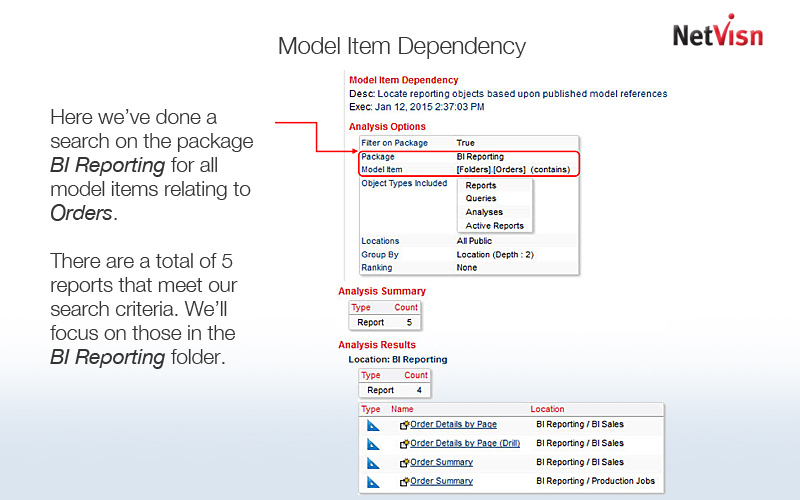 With its easy find and replace feature NetVisn quickly makes changes to model items whether it’s one, ten or thousands of items that need to be changed. 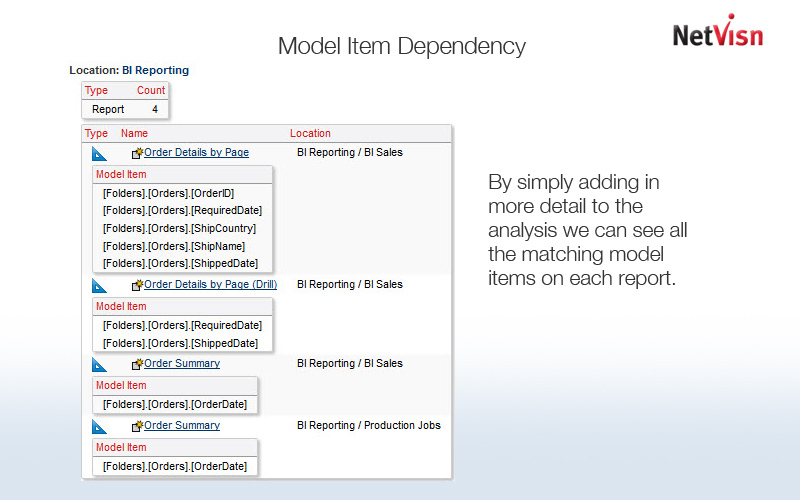 Selectively filter on objects by type; reports, analyses and queries. Validate that the object is functional after the update as been made. 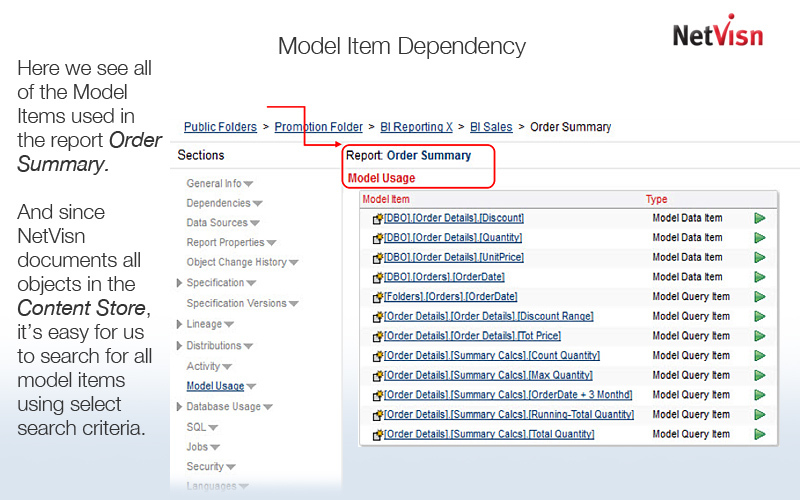 Have a full log history of all model item changes; date, time, objects changed, etc. The slides below demonstrate Model Dependency. Serving North America, Europe, and the UK with plans to expand to other areas in the near future.